"After being in the wedding and event planning industry for several years, I founded Lifetime Events by Jacqueline in 2007 and have been planning magical events of a lifetime since then. With a total of 18 years’ experience, education has been the foundation of my brand and expertise. In search of knowledge and guidance, Weddings Beautiful Worldwide was the first educational platform to set the foundation as well as plant the values and importance of being a professional wedding planner. Looking back, I thank my amazing mentor Nancy Tucker, WBW Director of Education, for providing me not just with the educational guidance and tools, but with compassion, professionalism and openness needed in this industry. As it is an ever-changing industry which impacts the core of planning a successful event, the foundation I received from Weddings Beautiful Worldwide will forever be a key factor in my business. Throughout the years of being a member of Weddings Beautiful Worldwide, I have been honored to speak at the Weddings Beautiful Worldwide Seminar in 2010, recipient of both certifications (Certified Wedding Specialist and Certified Wedding Planner) and collaborated with other Weddings Beautiful International Divisions: Weddings Beautiful Japan, Weddings Beautiful China, and Weddings Beautiful Ecuador. I am thrilled to be celebrating Weddings Beautiful Worldwide 50 years and look forward to collaborating with Weddings Beautiful Worldwide for years to come. " Many of our Certified Wedding Specialists have chosen our program because of our long history. As we celebrate our 50th anniversary, we thought we’d share a little bit about how we’ve changed over the years. In 1968, Gary Wright launched Weddings Beautiful, a company for independent wedding coordinators in Richmond Virginia. It was updated in 1974 when Doris Nixon became the Director of Educational Services for National Bridal Service. Chapters were added to include diverse cultural traditions and instructions for directing weddings. The title of Certified Weddings Specialist was awarded to graduates of the new and improved course. As the certification program grew, Doris made sure that Weddings Beautiful grew right along with it. In 1996 she added five new chapters. With students and graduates in 35 countries, the name was changed to Weddings Beautiful Worldwide. In 2000 The course was translated into Japanese and our first Licensee opened in Japan. Throughout the past 20 years, the CWS course has been updated to utilize new technology and reflect the needs of the newest generations of wedding planners. Doris retired in 2004 but recommended Nancy Tucker, who was one of her top CWS graduates and wedding planners, to take over her role as Director of Educational Services. Both ladies are admired and loved by their students and have mentored many graduates to become successful planners. Weddings Beautiful now has licensees in ten countries and our CWS course has been translated into Japanese, Chinese, Spanish and French. Through the years, over 9,000 people have graduated with a Certified Wedding Specialist designation from Weddings Beautiful Worldwide. We have been thrilled to launch new careers and amazed by the incredible work of our graduates. 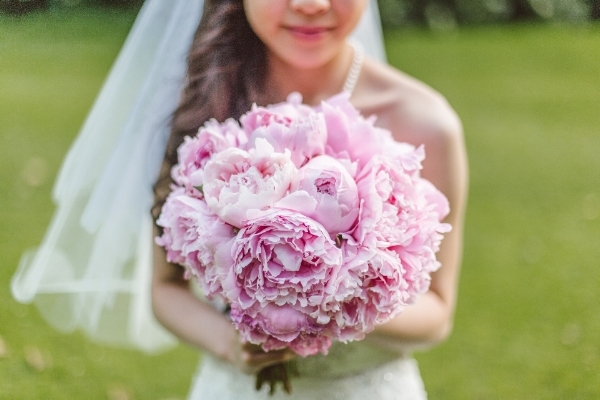 Flowers have been a part of wedding celebrations for as long as we have recorded history. Early Greek and Roman brides wore garlands of fresh herbs or ivy in their hair as a talisman against evil spirits. They also symbolized fertility and wishes for good fortune to shine on the new couple. No one is quite sure when garlands evolved into hand held bouquets but from time immemorial flowers have been an integral part of the wedding decor. Favorite flowers change over the years but over time, certain flowers have assumed a coded identity. In Victorian times (mid to late 1800s) flowers held messages for those who knew the "code". An estimated 40% of the weddings held in any given year have at least one partner who has been married before so it's certainly something you can expect to encounter in your wedding planning business. Second weddings tend to be unique depending on the circumstances. Are there children involved? How old is the couple? Is this a second wedding for both the bride and groom? A couple may be concerned about wedding rules and etiquette but what is most important is that a couple chooses a ceremony that feels right to them. When a working with a couple getting remarried or getting married for the second time, there are a few things they may want to consider. Maintaining sensitivity to the unique dynamics of the family is a must. If there are children involved, they should be the first to hear the good news. It is also proper to inform a former spouse of plans when children are involved. If it is the bride's second marriage, the traditional formal announcement is not made. If it is the bride's first marriage and the groom's second, then a formal announcement IS made. If the wedding is a first wedding for the bride, and the parents are able, traditionally they would pay for the wedding otherwise the couple may choose to split the cost of the wedding. If the couple has young children, they may want to find a way to incorporate them in the ceremony, this could be as a member of the bridal party, flower girl, ring bearer, or adding in a vow to child(ren) as part of the ceremony after the traditional vow exchange. If it is the bride's second marriage, a semi formal or informal wedding is usually chosen. An exception is made if the bride did not have a large formal wedding the first time or if this is the first time wedding for the groom. Brides may opt to forgo the classic white gown and choose a non-traditional hue or a fun cocktail dress for less formal event, although if she chooses a classic style to symbolize a new beginning that can be beautiful too! When planning a small ceremony with only a few close relatives and friends in attendance, printed invitations may not be necessary. If the ceremony will be a large one, printed invitations are expected. Couples may want to register for gifts and that's okay, it is customary to give a gift when a couple gets married. They may want to focus on just items that are important to them or experiences, as they typically already have the basics. Increasing in popularity is a small intimate wedding for family and close friends, followed by a much larger celebratory formal reception. In this case a formal invitation is sent to those invited to the reception with a small enclosure card for the ceremony to those who are invited to both. Regardless of the circumstances of the past, a wedding is a reason to celebrate! Encourage the couple to worry less about "rules", and focus on customizing the ceremony to reflect their desire and personalities to create a memorable event! Want to be a Certified Wedding Specialist? Sign up for our self-paced online course which will teach you what you need to know to run a successful business in the wedding industry. Start your new career today! Weekend brunch already feels like a treat, so it's no surprise that bunch weddings have been a money saving trend for many wedding planners and couples. If you have a couple's dream venue is already booked for their choice of wedding date, consider making a time adjustment and rather than a sit down dinner at 7 PM ask about availability of brunch at 11 AM. Wedding planners may also suggest a brunch if clients are having a smaller wedding. It usually starts at 10 or 11 AM and runs for about four hours as opposed to the typical evening wedding that can go for 6-7 hours. In addition to saving money on the venue, clients will pay less for food and for cocktails and leave plenty of time to spend the day together, with family, or catch a flight for their honeymoon. Brunch wedding menus are easily planned, and the decor and flowers are simpler - no less elegant - just simpler. Table linens, silver, china, can be chosen with care to reflect the couple's color palette or theme. Consider the brunch buffet with fresh juices, waffles, custom omelettes, quiche, ham, bacon. Hors d'oeuvres like mini "pigs in a blanket" or toffee-dipped bacon kabobs and French toast sticks with maple syrup are also a great option. It is unlikely that you will host an open bar at a brunch but you can do personalized bloody Mary bars or mimosas and champagne and of course, you'll want coffee and tea. A traditional wedding cake may feel a bit heavy in the morning, so a brunch wedding is the perfect time to adopt the "naked cake" trend which has minimal icing. A wedding cake can even be made with tiers of crepes or pancakes, or for go the cake all together and have the caterer construct towers of doughnuts or mini cinnamon rolls. In keeping with the theme and to add a fun touch, gifts for guest can include vintage coffee mugs, chocolate covered espresso beans, or custom teas. Have an exit strategy for when the party is over. A 10pm end time has a different feel than a mid-afternoon end time. A couple may want to think about renting a car for their exit. Some people may expect and after party, a clear getaway will make that transition easier. If families are traveling from out of town, couples may want to provide them a list of things to do in the area, particularly if the wedding is on a Saturday morning. As one bride said about her brunch wedding - "it's more about the guests and a lot less pressure". Everyone loves breakfast foods, and a daytime celebration can be very special. For many couples, brunch is the answer. I'm A Certified Wedding Specialist... Now What? At Weddings Beautiful we know a lot of wedding experts. So we've reached out to some fantastic wedding planners who are doing amazing things with their business and asked them to share their secrets with you. A special thanks to our expert Crystal Marie Young-Lewis for her fantastic advice! I got my CWS and I was ready to roll. Actually, I was ready to roll when I ENrolled in the program, but I was seriously ready to get going with my business once I was officially certified. I took all that I’d learned, my energizer-bunny gumption, and dove in head first. But then, I got a HUGE reality check. Planning and designing the perfect wedding came easily. I was good at that. But, planning a wedding is one thing; growing your own business is another. Booking brides every month and bringing in a consistent stream of income was h.a.r.d. It was easy to connect with brides once they were “in the door,” but how did I get them in the door? I relied heavily on referrals, spent time brainstorming creative ways to get my name out there, and attended numerous conferences/workshops in order to extend my network and learn from different event professionals outside of my arena. I also attended every bridal show you can imagine. Starting my business was a huge leap of faith, but, sometimes, the only way to get to where you need to be is to leap. I booked events, I loved what I was doing, but despite all of my efforts, I wasn’t reaching my goals and I didn’t feel like I was creating the sustainable business I’d always dreamed of. So, I invested in a business coach who also ran her own successful wedding planning company. I knew that if I was going to truly succeed at running a business that could give me the kind of lifestyle I wanted, I had to continue to invest in myself and invest in learning. I went from hustling to taking a step back and building the foundation of my business right. I set up systems, I set up processes, I learned how to use social media to market effectively, and I learned the value of viewing other wedding planners not as my competition, but as my community of professionals and friends. I self-published my first book: “A Girlfriend’s Guide to a Crystal Clear Bride: No-nonsense Wedding Tips from a Seasoned Wedding Planner” and continued to find ways to add value to my brides. The more I stepped out, the more I began to believe in myself eveeeeen more and the value I had to offer. As I got the foundation right, what I was building became more solid and sustainable. As wedding planners, it’s easy to forget about the business and marketing side, because we want to focus on creating and organizing, BUT, we’re really only free to create the experience we hope to for our clients, when we have the right things in place. As wedding planners, sometimes we forget to plan for ourselves and for our businesses. We plan for our couple’s weddings, but we don’t always have a step-by-step plan for how we’ll attract brides, interact with them once they contact us, and nurture them through the process of choosing us. We create an amazing “end” experience with their wedding, but we forget about the experience from the moment they fill out a contact form or give us a call. If I could offer any advice to those just starting out, it would be to spend the time to really plan for yourself and your business and to lay the foundation correctly. Create a proper marketing plan, be completely prepared for clients with canned email responses, welcome guides, frequently asked questions, and valuable content they’ll benefit from. Give them an experience that wows from the beginning not just from the moment they sign the contract. I absolutely love being a wedding planner and running my own business. Now that I’m running in the “right gear” and have trained for what I’m going to encounter, I’m even more excited about what the future holds. Plan for you and your business, then you can truly plan for brides and give them the type of experience that’s going to keep them sending others your way. Crystal Marie Young-Lewis is the founder and Chief Event Extraordinaire at Crystal Marie Events located in Detroit, MI. She is also the author of the Amazon Top 100 Bestseller “A Girlfriend’s Guide to a Crystal Clear Bride.” Crystal is known for her no-nonsense wedding planning tips, her zest for life, commitment to her brides, and her out-of-the-box style and personality. Crystal Marie Events was voted the 2015 Best of Detroit Event Planner and she continues to win over brides and entire families with her authenticity and humor. There are a lot of reasons brides may want to include children as guests at both their wedding ceremony and reception. There may be large families on the guest list from both the bride's and the groom's side. To exclude the children would not be considered. If that is true for you, children can add an extra dimension to the festivities if you make plans to incorporate their interests. If children are invited to the wedding and reception, be sure to let the parents know they are invited by including their names on the inner envelope of the invitation. Some brides create a separate reception invitation to the children. To entertain the children, you may want to suggest a special reception area. Include some arts and craft supplies and small toys. Be sure to provide smocks or aprons to protect their clothing if including messy activities and hire a sitter or two depending on the number of children expected. The children should make special cards for the bride and groom. After the arts and crafts and done and the food eaten, provide a TV with age appropriate videos and/or hire a clown or magician for entertainment. Some parents may want to include their children in a portion of the wedding dance segment. If yours is an evening wedding with a dance, you may wish to be sure that the children's area has cots or sleeping bags available for children who may be there through the evening hours. Children can have a good time and free their parents to participate if you spend some time creating a special area and activities especially for them. If you want to be a professional wedding planner we can help you. But type of person makes a great wedding planner? We asked our expert Nancy Tucker to tell us what personal qualities a wedding planner needs for a successful business. Your heart has gotta be in it. First you have to want to become a planner for the right reasons. If you are in it for the money, don’t hold your breath. Volumes of “want to be’s” appeared on the scene after the Movie “The Wedding Planner” hit the screen. They saw the movie or went to a wedding and became enamored with idea of going to a wedding every weekend. Of those numbers few remain because they did not get into it for the right reason. It does not matter how much of a “professional” you are if you don’t have compassion and consideration for others you will kill your business. Case in point, I had one bride who chose to use a famous photographer because he had shot an iconic American photo. The day of the wedding he was pushing guests and rude and inconsiderate of guests. I never worked with him and eventually the bride told him he had done enough and he could go. So even though his reputation preceded him, he was not wedding photographer material because he wasn’t a people person. Next you need to be detail oriented and able to keep detailed records for several brides at a time. This doesn’t mean you have to be so OCD you alphabetize your spices, it means you hold all of the pieces of the puzzle that make that bride’s day, so you better not be missing a piece. Then you need to know the vendors available in various categories. It is extremely important to know professional caterers who are able to work with the low budget as well as the sky is the limit bride. You will be recommending options to your clients based on their budget and personality. Most importantly is learning the venues around you. You need a point of contact at the venue, know what options are available, can you do any outside ceremony if desired and is there a plan B if the weather doesn’t cooperate. It's important to know when you need to bite your tongue or speak your mind in different situations. Many vendors have been left with bad feelings toward Professional Wedding Planners because of the hobby planner who came in wielding the sword only to have nothing work properly and leaving the burden on your caterer and your venue manager. Your assurance and perfect performance are the only way to take down the shield they feel toward you. Once you have come up with these basics you can use the knowledge from your Certification Training and you will learn something new at every wedding. The walk into the fire is much better when you have the know how and confidence to put the fires out.